The Nevada Youth Rugby High School Boys 7’s State Championships were played under the lights at Skye Canyon Park. The defending Champions from last year, the Las Vegas Black Hawks, prevailed again in a very close and competitive match, 26-19 against the Las Vegas Rugby Academy. The “Man of the Match” trophy was awarded to Jordan Moses of the Black Hawks. He made several big plays during the match, one of which was a run nearly the full length of the field after a LRVA kickoff. Jordan broke several tackles and weaved his way in for a try on a very impressive run. Congratulations to Coach Leonard Nell, his staff, and his Black Hawks rugby club for accomplishing the repeat. The Black Hawks have reloaded with several new players this year after losing a handful of key players from last year’s senior class. It looks to be a promising year again as we move into the 15’s season now and start competing in the Utah Sun Conference. 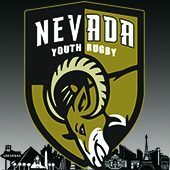 Good Luck to the Black Hawks and Coach Vaha Esikia’s Las Vegas Rugby Academy! We are proud of all the accomplishments so far and know both teams will represent well.